Installing a patio door is one way to improve the design and function of your home. Not only is it beautifully crafted to match the aesthetic of your building, but it also enhances the flow of your indoor and outdoor spaces. It’s also built to improve the security your of home, protecting you from inclement weather and unwanted company. It’s in your best interest to invest in a high-quality piece. However, choosing a patio door isn’t always simple. With so many styles and brands to choose from, your search can get overwhelming and it may take you up to several weeks before you make a decision. Thankfully, you can contact Freedom Windows if you’re having trouble looking for a patio door. 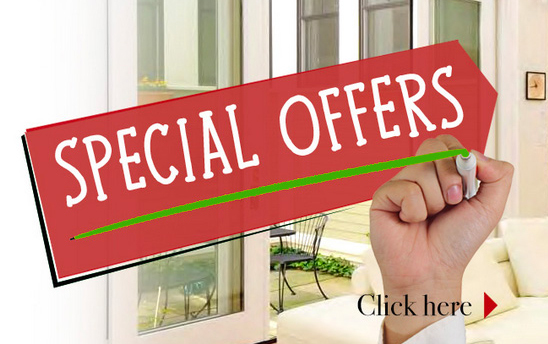 Our door experts will gladly help you look for a product that fits your needs and budget. The Quantum 2, High-Performance Patio Door System. This product is designed for maximum performance. It’s long-lasting, durable, and can resist inclement weather. It’s also manufactured to match the style of your property. If you’re looking for a piece that exhibits both beauty and brawn, this one’s for you. The 3000 Swing Patio Door System. A dependable, multi-paned patio door that comes with either a single garden door or a double French door. You can select from a number of customizable color options to create a piece that’s unique to your space. It’s also very durable and comes with a full-length fixed hinge to prevent panel sagging. The 5000 Sliding Patio Door System. This maintenance free patio door features the finest quality craftsmanship. It’s engineered with twin tandem bottom mounted rollers that’s made to slide smoothly along the monorail system. It also comes with a fusion welded panel to prevent water and air infiltration. The ProVia® Entry Designer, Hinged Patio Door System. If you’re looking for a patio door you can customize to your heart’s content, then this system is for you. This swinging patio door is available in 2 or 3-light units and comes in a variety of textures and grains. We can even adjust its height and width to perfectly fit the opening of your home. Give us a call at 614-798-1133 today so our customer service representatives can give you more information on our products and services. We can also show you our selection of top-notch entry doors if you want to improve the aesthetic and security of your entryway.